Winning Futures Class of 2017. Throughout his days at Madison High School in Madison Heights, James wasn’t focused or concerned about his future, coasting through classes with a C average. His mentor, Bob Foyt, retired senior director of maintenance and engineering at JHP Pharmaceuticals, helped him see a bright future and put together a related strategic plan. James significantly improved his grades and graduated from high school. 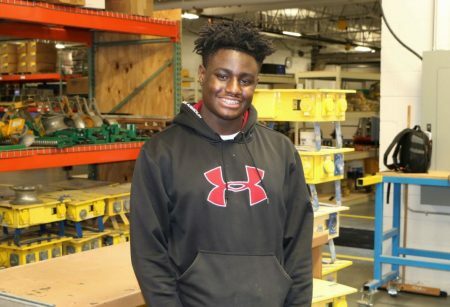 Today he works at Shaw Electric in Southfield and plans to pursue a career in electrical or mechanical engineering.